JetBlue first introduced the Airbus A321 into its network in late 2013, but started introducing its premium Mint configured aircraft into its fleet in the middle of 2014 for operation on Transcontinental routes from New York and latterly also from Boston. These aircraft are configured with 16 lie-flat seats, four of which are private suites, and 143 core JetBlue Experience seats (Economy and ‘Even More Space’ seats). US carrier JetBlue Airways is to introduce its Mint premium travel concept into additional markets during the second half of 2017 using its enhanced Airbus A321 offering on flights between New York and Las Vegas and San Diego as well as between Boston and San Diego. The airline revealed its plans to debut its higher quality product in these markets late last year, but has now formally opened reservations on the three routes with confirmed launch dates. JetBlue introduced the A321 into its network in late 2013, but started introducing its Mint configured aircraft into its fleet in the middle of 2014 for operation on Transcontinental routes from New York. 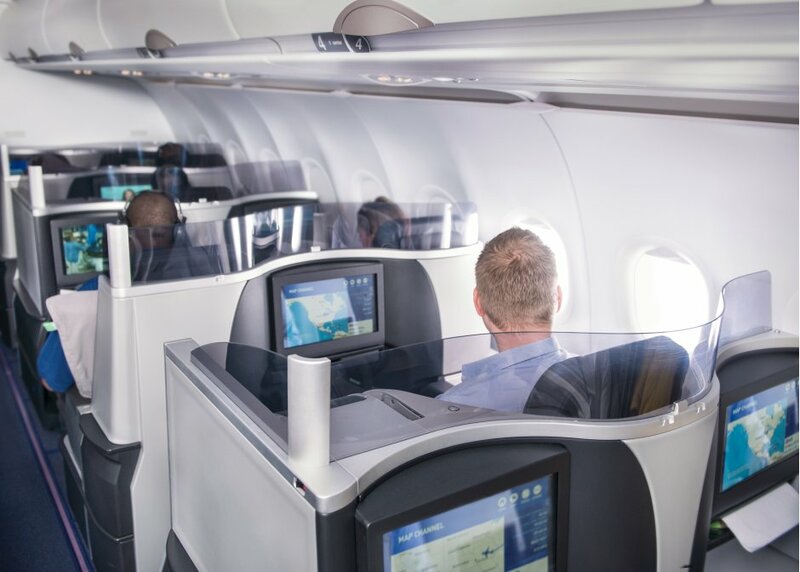 These are configured with 16 lie-flat seats, four of which are private suites, and 143 core JetBlue Experience seats (Economy and ‘Even More Space’ seats). It expanded its offering to also offer flights from Boston’s Logan International Airport last year. The airline will take delivery of ten additional Airbus A321s through 2017 and nine of these will be configured in its Mint arrangement to be introduced on routes to Las Vegas, San Diego and Seattle from New York; to San Diego and Seattle from Boston and to Los Angeles and San Francisco from Fort Lauderdale. All these markets are currently served by other US carriers, but not all have a premium offering as JetBlue chases after high-yield business clientele on these city pairs. Beginning in November, JetBlue will offer two daily roundtrip Mint flights between New York’s John F. Kennedy International Airport and Las Vegas’ McCarran International Airport. The airline will initially introduce a single daily Mint operation from November 6, 2017 and on the second of its three daily rotations from November 10, 2017. JetBlue Mint flights between Boston and San Diego International Airport will start in December initially on one of its two daily rotations from December 10, 2017 and then on the second flight from December 20, 2017. The airline has also announced an expanded schedule for Mint flights between New York-JFK and San Diego. These commence on a single daily basis from August 15, 2017 but from October 10, 2017 both of its daily rotations will be flown by Mint A321s. This means that by the end of the year every JetBlue flight between San Diego and the northeast US will be operated on a Mint aircraft. Las Vegas and San Diego will both be brand new cities to the Mint service concept and on each of the three routes, JetBlue will be the only airline to offer a regularly scheduled lie-flat domestic product. The wave of new Mint flights will grow the airline’s popular premium service to approximately 70 daily flights before the end of the year. By December 2017, roughly one in every 14 JetBlue flights will offer the Mint concept. JetBlue says it is seizing an opportunity to introduce competition in east and west coast markets where customers are faced with a decreasing number of choices and where other carriers sell dated business class options at a high cost. “Our plan has long called for strategic growth of Mint on these valuable transcontinental routes, and now is the right time for us to capture this opportunity to bring much needed competition where customers are facing dwindling choices,” said Robin Hayes, president and chief executive officer, JetBlue. Since launching in 2014, Mint has become a popular way for celebrities, technology executives, creatives, and entrepreneurs to travel across the country with a highly personalised service with lie-flat seating. “MINT helped traditional business class travellers realise there is a better way,” added Hayes. Alongside the transcontinental routes, a reduction in weekend demand on the business routes means that JetBlue is able to also deploy the aircraft on a seasonal service to the Caribbean, a network that will be expanded in winter 2017/2018 with the introduction of weekly flights between Boston and St Maarten between November 4, 2017 and April 2018. It will also add a second flight on peak days (over the Christmas peak and before and after Thanksgiving) between New York and St Maarten, a Mint route it first introduced last autumn and which will resume from November 4, 2017. Elsewhere, Mint service between New York JFK and Barbados will expand to include a second Saturday round-trip beginning November 4, 2017, while popular seasonal winter routes will return from New York to Aruba (from September 9, 2017), Grenada (from December 2, 2017) and St Lucia (from December 2, 2017) and from Boston to Aruba (from September 9, 2017) and Barbados (from November 4, 2017). JetBlue will also increase Mint frequencies on the Boston – Los Angeles route will a fourth round-trip Mint flight being added from October 20, 2017. It is also finalising the launch of its flights to Seattle-Tacoma International Airport. “The start date for already announced Mint service in Seattle will be announced in the coming months,” it said. Meanwhile, JetBlue Airways has also confirmed the appointment of John Checketts as its new vice president, network planning, effective immediately. Checketts will oversee the execution of the company’s network strategy through the route planning, schedule planning and charter functions. He will report to Scott Laurence, JetBlue’s senior vice president, airline planning. Checketts joined JetBlue in 2004 and has held various roles in revenue management, financial planning and analysis, and route planning. Most recently, he served as director, route planning, during which he and his team established JetBlue’s leading position in Boston, Fort Lauderdale and the Caribbean.